Franne McNeal, President, Significant Business Results LLC, has impacted over 13,000 entrepreneurs and business leaders. She has helped them invest interest into income, convert contacts into customers, and pivot plans into profits. Franne McNeal is a Minority Business Advocate, Small Business Influencer, Power Woman, speaker, coach, author and radio host. Franne is also a breast cancer survivor and stroke survivor. As a business executive Franne is known for helping people “focus their energy for action and achieve significant business results”. As a keynote speaker Franne’s topics include entrepreneurship, innovation, and significant citizen engagement. 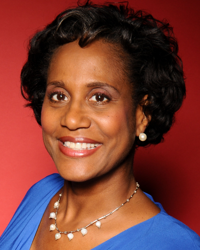 Franne McNeal earned a BA degree from Princeton University and a MBA from Eastern University.